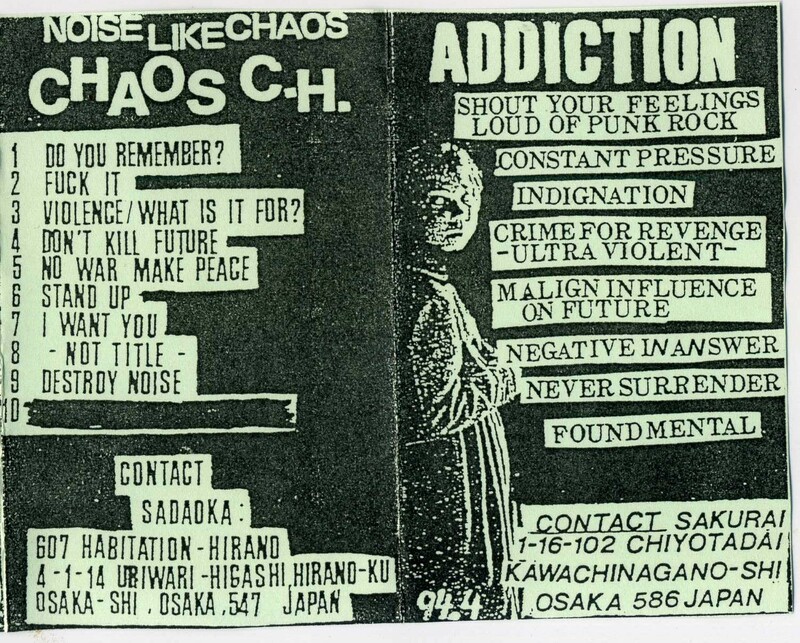 Split tape with two japanese bands playing HC punk. 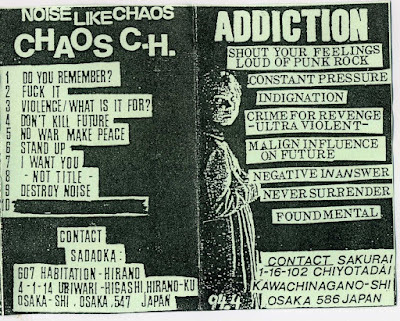 Chaos C.H. (C.H. stands for Channel) and Addiction. The recordings are a bit chaotic/noisy + diy style and the lyrics are pretty much political messages. @rayss-I re-uploaded this file,all the scans are included in this folder.